This Nutella Hot Chocolate has been lightened up using 2% milk, but you won’t miss the rich, creamy hazelnut chocolate flavor! Several years ago my then 13 year old daughter decided she wanted to make a new recipe of her own and came up with this simple to make, two ingredient Nutella Hot Chocolate. Of course, it was in the heart of Winter and she had just been outside helping me shovel the walkway and a path for our two Shih Tzu’s to go to the bathroom. And what a better way to warm up then with a nice hot cup of hot chocolate. Again, this was one of those recipes that I posted in my newsletter and unfortunately never saw the “blog light of day” so to speak, but it’s definitely worth sharing now that the cold weather is starting to settle in here in NJ. This recipe is super simple to make and all you’ll need are two ingredients: milk (we used 2%) and Nutella (or any other hazelnut chocolate spread). You can also garnish the top with whipped cream and mini chocolate chips; however that is completely optional, but for a 13 year old–the more chocolatey sweetness the better! 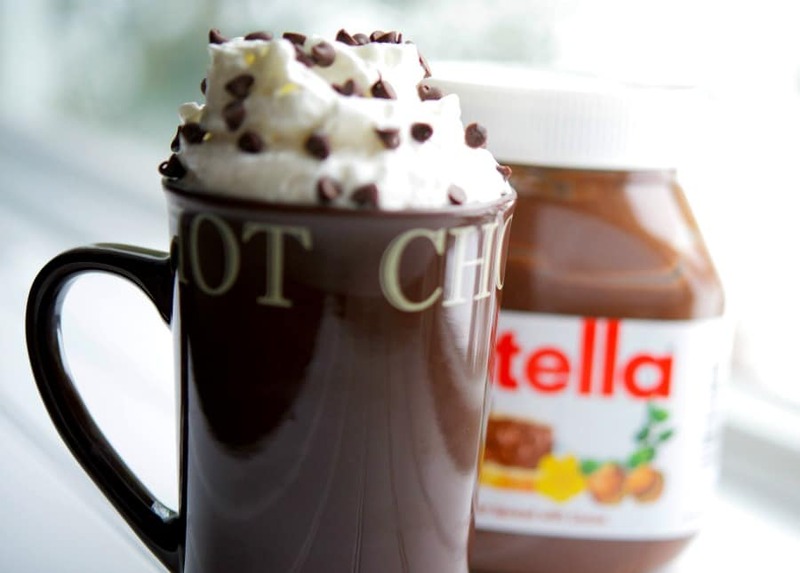 To make this Nutella Hot Chocolate, add the milk and Nutella to a small saucepan and cook over medium heat; whisking until just below boiling point. 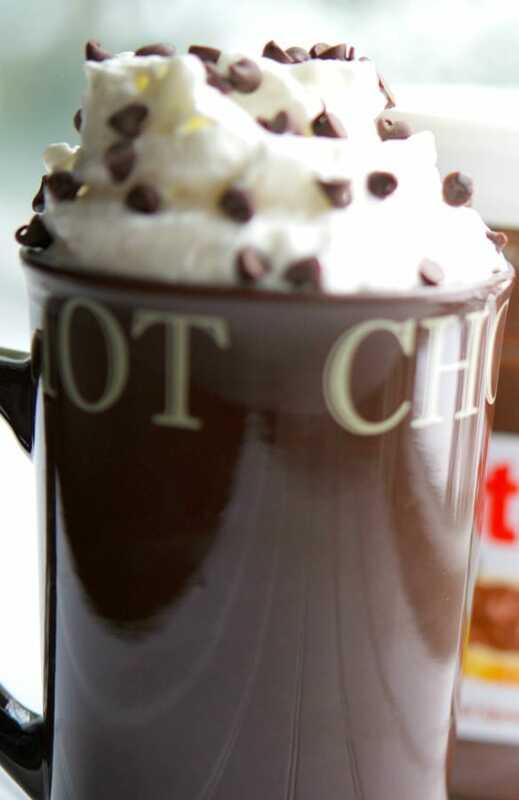 Pour into your favorite mug; then top with whipped cream and mini chocolate chips. I have to say that her recipe was super tasty and really helped to thaw us out. ~Enjoy! This Nutella Hot Chocolate has been lightened up using 2% milk, but you won't miss the rich, creamy hazelnut chocolate flavor! 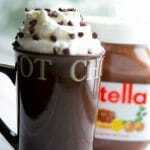 Add the milk and Nutella to a small saucepan over medium heat and whisk until just below boiling point.